Pesky, huh? Easily fixed though. 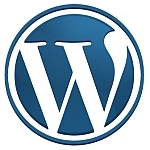 Download the latest copy of WordPress, then connect to your site via FTP. Rename wp-includes (or delete it) and upload a new copy from your newly downloaded version. All should now be well! It may have been related to my server load at the time causing a timeout. I am having the same problem, I am now uploading the new version of WP. Question does it matter what I rename the wp-includes folder? Will that effect the function of my site? No — it does not matter. You are renaming it so that it becomes inactive (basically, a backup). You then upload a new copy of it (which still has the name “wp-includes”).